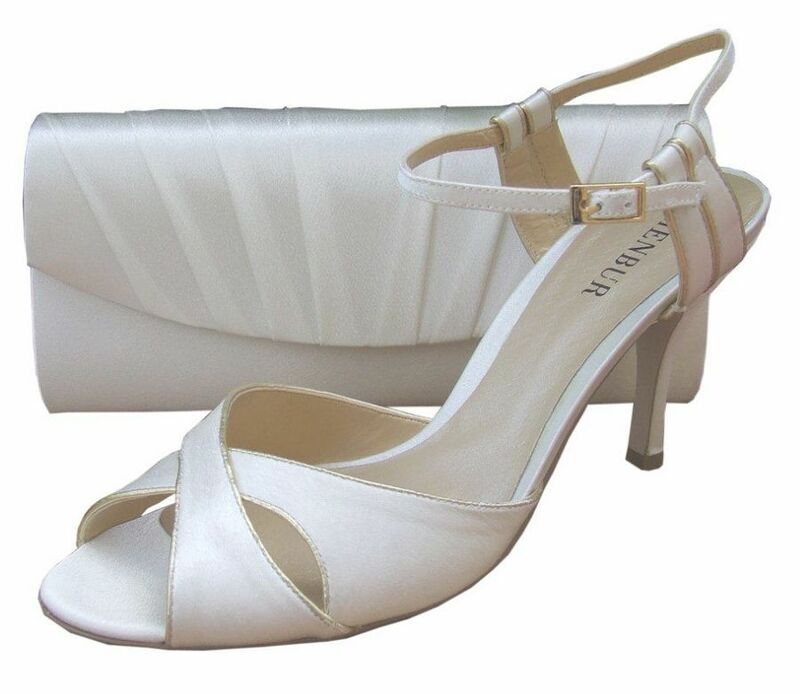 Beautiful ivory satin heeled ladies sandal by Spanish designer Menbur. Cross over detailing on the foot with a gold trim and adjustable elaticated buckle fastening at the ankle for a great fit. 3.5" satin covered heel and padded insole for extra comfort.